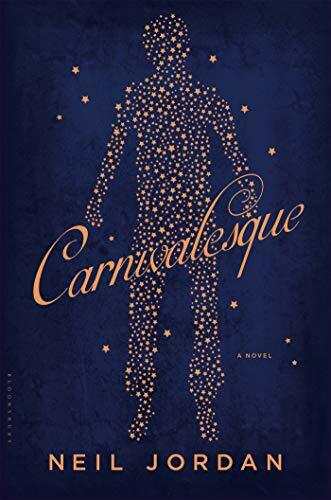 Carnivalesque by Neil Jordan tells the story of Andy, a young boy on the cusp of adolescence, who, upon visiting a carnival with his parents, enters the hall of mirrors where he becomes trapped. Rescued by Mona, a fairy-like trapeze performer with a secret yearning for a child of her own, Andy—now known as Dany—is taken under her wing and shown the way of the circus. But while “real” Andy (Dany) is learning the ropes of the circus, a physical mirror image of himself has taken over his life as the son of Eileen and Jim. This doppelgänger Andy is a moodier, darker version. As Eileen is confronted with her once beautiful child showing signs of somewhat disturbing adolescent behavior, she reminisces about the events leading up to her pregnancy: of the visitation of a strange man, and of mossy arms embracing her. Carnivalesque is drenched in mythological and Jungian symbolism. For example, the hall of mirrors where one is forced to confront their image in all shapes and sizes, as opposed to running away from the true self. Or perhaps the mirrors remind us to be vigilant of what we project onto others. And then there’s the Dewman, who morphs from decaying substances, taking on the appearance of various human bodies as he gathers speed and momentum, before finally stopping to confront the “real” Andy. This image has cause to awaken nightmares from our own youth, perhaps of being chased by a cloud of fear, the metaphorical “bridge of fear” that takes us from childhood to adolescence. Dany and Andy live parallel lives: one in the fantasy world of a circus populated by ageless beings, and the other in a world where the realities of human complexities clash with evil. As such, Eileen’s mind is tested, as is her love for her son. Has adolescence stolen her only child’s innocence, or is it the haunting flicker of the memory of a door-to-door salesman from her own past that is causing havoc in her day-to-day life? Or are they one and the same? This is not a fast-moving epic novel, but a story to pick up and read for a while, to think about, and then pick up again. Carnivalesque may have you questioning which elements of the story are real and which are not. At times the lengthy prose may send your mind drifting, but be patient with this story, for there is gold to be found within the final chapters.